I am very excited about the opportunity to host my first giveaway from Anja’s Arts shop on Etsy. These products are so beautiful and classic looking. The products from Anjas Arts are handcrafted and beautiful. These are perfect to give as gifts or to keep for yourself. Anjas Arts also has 100% positive feedback on Etsy. All of these rings are either made from sterling silver or 14k gold. I love the wrapped wire look that is used around a stone. Each stone is unique. I would love to have one of these in every color so that I can wear one with every outfit. These are also very affordable, and they make perfect gifts. Perfect when needing nice pieces on a budget! Thanks to Anjas Arts, one of my lucky readers will get to have one of these rings! Here is a beautiful Lapis Lazuli 14k Gold Filled Wire Wrapped Ring. This is a Gray Botswana Agate Argentium Sterling Silver Wire Wrapped Ring. All rings can be made in sterling silver or 14k gold. The rings can be made in whole, half. or quarter sizes from size 2-16. 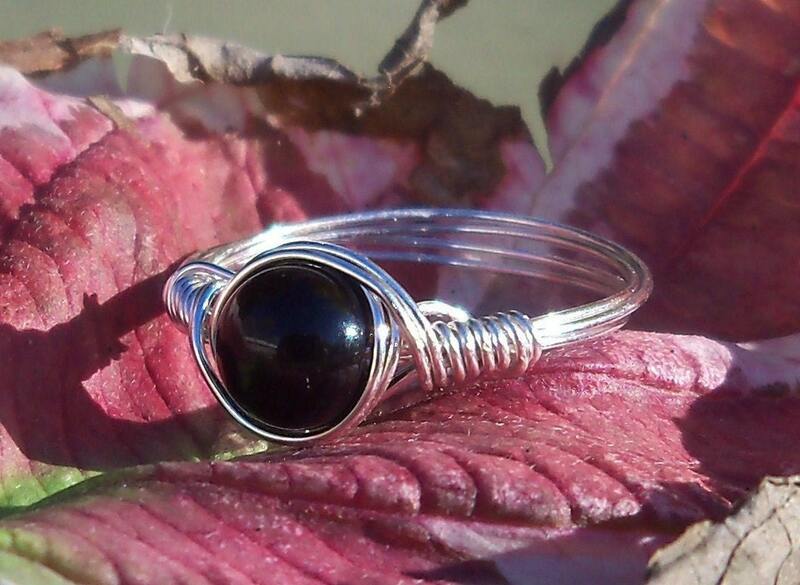 Anja Art’s has given me this beautiful Black Obsidian Argentium Sterling Silver Wire Wrapped Ring to give to one of my followers. Visit Anja Art’s on Etsy and find the ring that is your favorite. Come back and leave a comment telling me your favorite. Make sure to leave your email address so that I have a way to contact you if you are the winner. Daily tweet: Anja Arts Sterling Silver Wire Wrapped Ring #giveaway Ends 12/26 http://t.co/IDtSQtI @kmpiorec First giveaway! *Our Winner Is Comment #3 Crystal! I will add a screen shot of random.org when I get home from vacation! love love love the cherry quartz earrings! I love them all but my favorite would have to be the Cherry Quartz Sterling Silver Earrings! Congrats on your first giveaway! Oops I commented my favorite item....my favorite ring would be Purple River Stone Argentium Sterling Silver or 14k Gold Wire Wrapped Ring. lol. I love Pretty in Pink Matte ring! 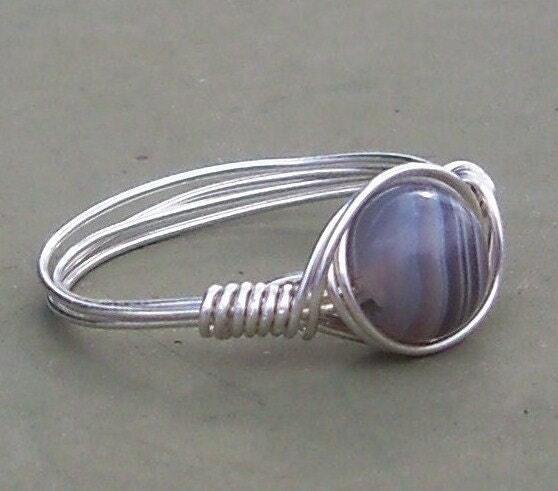 I love the Moonstone Argentium Sterling Silver Wire Wrapped Ring! Its beautiful! The Fuchsia Quartz Argentium Sterling Silver Wire Wrapped Ring is my favorite. My grandmother is a breast cancer surviver so I love anything pink. Green is my favorite color so I really like the Green Jade Argentium. Thank you! There are so many pretty rings, but my favorite is the Amethyst wire wrapped ring. I love the Citrus Orange Czech Glass ring! But I'd be happy to wear any of these rings. I love the blue howlite argentium ring -- it's all beautiful! Peachy Pink Czech Glass Argentium Sterling Silver or 14k Gold Wire Wrapped Ring this is my fav for sure! Snow Quartz Argentium Sterling Silver Wire Wrapped Ring is so pretty!